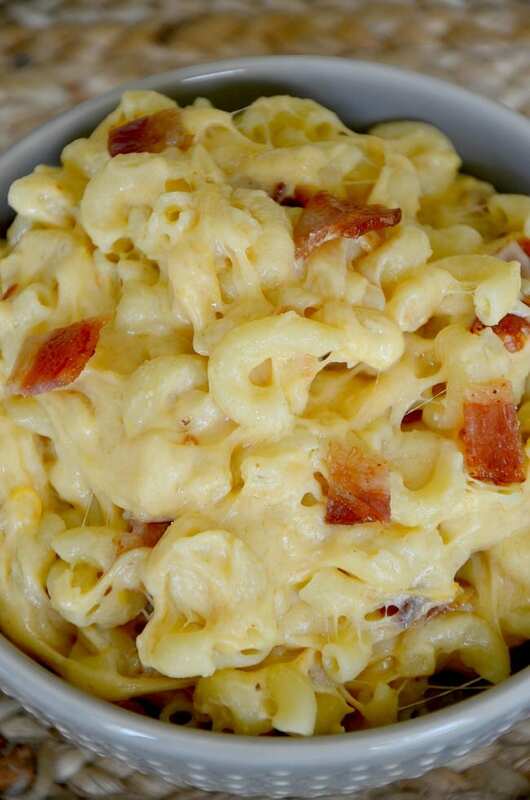 Bacon makes everything better including homemade mac and cheese! Thank you to Skinner® pasta for sponsoring today’s recipe. All opinions are my own. Hey yall! It’s crazy to think that we have been living in the Houston area for over a year now. Ryon got a promotion so we relocated up from Corpus. He actually lived in a hotel for a few months before we found a house, got packed and moved up. I’m not going to lie – it was a hard decision to make. We were moving away from most of my family and all of our friends. Plus, the sheer size of Houston scared me. In the end though, the promotion and the prospect of better schools for the kids helped seal the deal for us. We packed up and headed about 3 and a half hours north of my home town. I have a few friends in the Houston area and was excited to connect with them once we were settled. It didn’t take me long to realize that even though we live in Houston, we can still be an hour away from each other! I can’t wrap my head around how it’s possible to live in the same city and be an hour or more away from someone. And it’s a tough drive to make when you have kids. And holy cow, hopefully you don’t hit any bad traffic. The good news is that this past year we have made some really awesome friends through the kids school and our church. We all have kids the same age so we are able together and have the kids play while the parents talk to real live adults. My favorite thing about having people over is that I get to cook for a crowd again. I love being able to make a giant meal to share with friends and family. 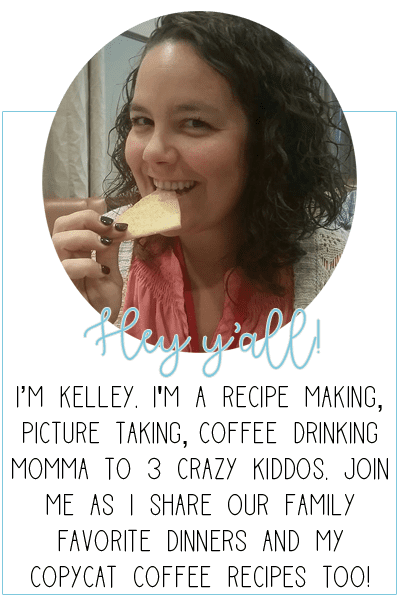 My favorite thing to share is a big ole pasta dinner or side dish. It must be the Italian in me. 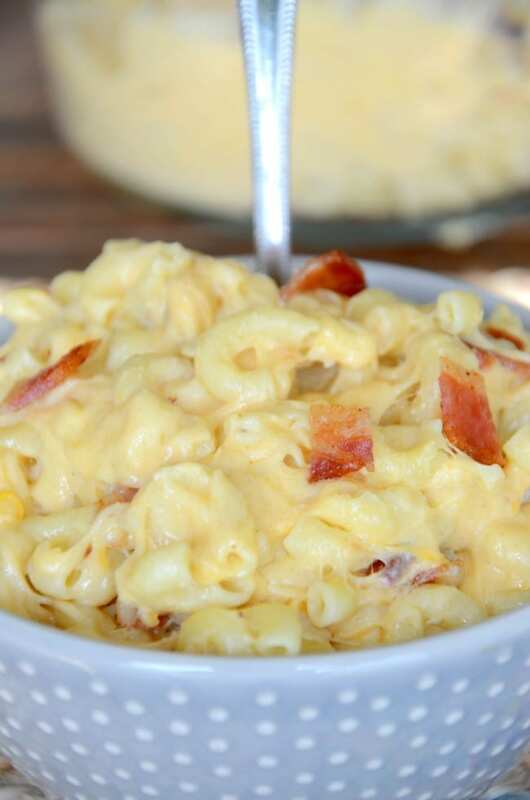 This bacon mac and cheese is one of my all time favorites to make. It’s easy to put together and everyone raves about it afterwards. I mean, it’s cheese and bacon! What’s not to love? This time I used Skinner elbows and it came out perfect. I love using Skinner because it’s great tasting, budget friendly and is also Non-GMO verified. Most Texans agree because it’s also the number one pasta in Texas! Plus it’s sure to bring a smile to your face with its budget-friendly pricing and delicious taste! 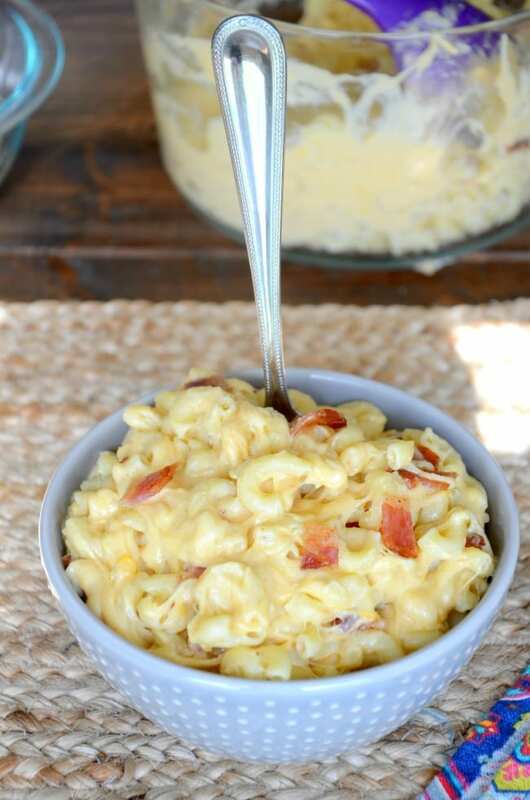 I hope you enjoy this homemade bacon mac and cheese at your next gathering! In a large skillet, cook the bacon until crispy. Using the bacon grease, add the garlic and cook for 2-3 minutes or until fragrant and softened. Whisk in the flour and allow to cook for 1 minute. Slowly whisk in the milk adding 1/2 cup at a time. Allow to cook until it thickens enough so that it coats the back of a spoon. 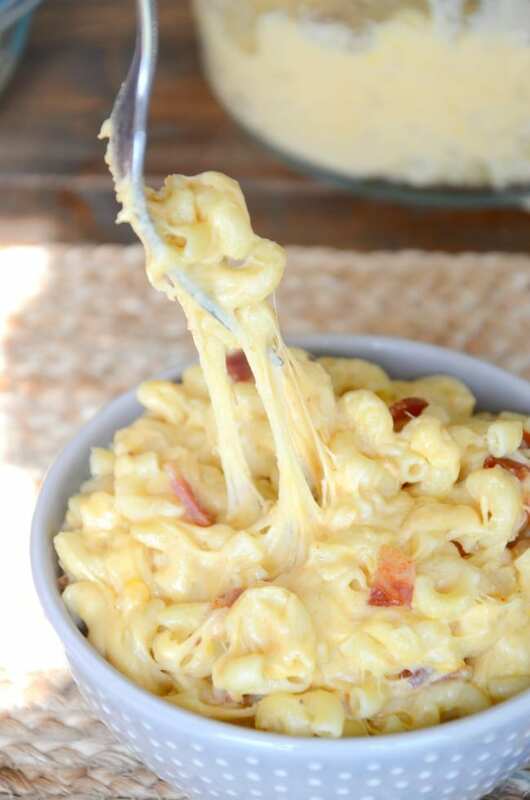 Pour the warm cheese over the cooked pasta and combine. Add in the chopped bacon.